Sangeeta Metal is one of the leading Manufacturer, Supplier and Exporter of Monel 400 Round Bars that are actually manufactured from High Quality of Standard Raw Materials andare designed as per with national and international standards. Alloy 400 Round Bars is a group of nickel alloys, composed mostly of nickel copper and lesser amounts of iron, manganese, carbon, and silicon. UNS N04400 Bars is stronger than pure nickel. WNR 2.4360 Round Bars are resistant to corrosion by many agents, including rapidly flowing seawater, hydrofluoric acid, sulfuric acid, and alkalies. 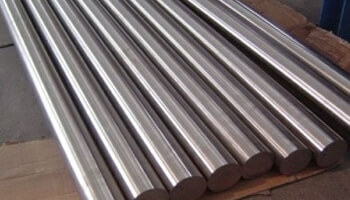 Monel 400 Bars can be fabricated readily by hot- and cold-working, machining, and welding. We offer these Monel Alloy 400 products in custom-made shapes and sizes as per the requirements given by our clients, and that too at an affordable and market leading prices.